The goal of inventory control is to maintain a level of inputs and finished products at the lowest cost possible. Inventory refers to both the raw inputs used to produce goods and the finished products. While most inventory control methods relate to physical goods, many of the concepts are applicable to service-oriented businesses as well. Companies need strong management of all inventories for efficiency, profit and control. Inventory is generally divided into four "buckets" called raw materials, consumables, work in progress (WIP) and finished goods. Raw materials are the substances used to create a product like metal, wood and screws that can still be identified in the finished product. Consumables are items that are needed to create a product, but are unidentifiable in the finished goods, such as gasoline, oil and parts for production machinery. Work in progress inventory consists of items that have started the production process but are not finished, saleable goods. Finished goods or products have completed the production process and are ready for sale to a consumer. The level of inventory needed on hand at a business is dependant upon the speed of production, shelf life of goods, acquisition difficulty levels, costs and space considerations. Keeping inventory at a minimal level decreases overhead, management concerns and ultimately correlates to increased profits. Inventory levels that are too low can result in production delays and lost sales. High inventory levels can produce waste, spoilage, increased insurance costs and decreased profit. 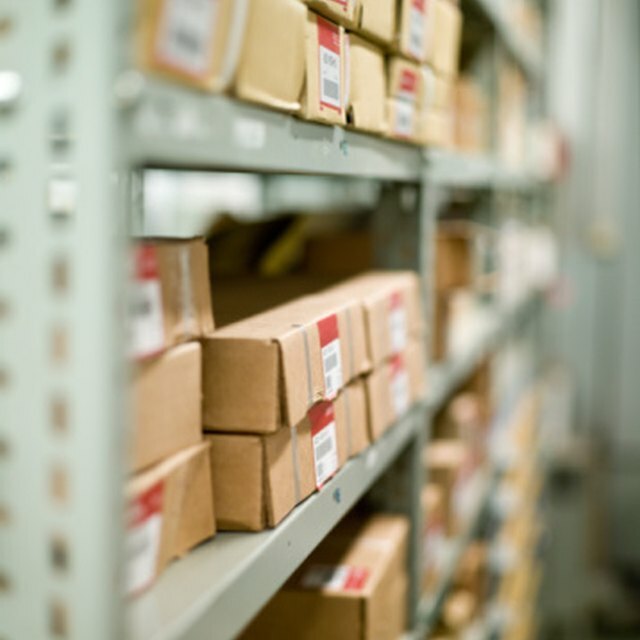 Just In Time (JIT) is an inventory control method where parts or supplies are delivered at the moment they are needed. JIT refers to all types of inventory. This method requires a high level of coordination and trust with suppliers and a highly efficient production process. The just-in-time inventory method creates very low inventory overhead and cost. There is little room for error or delays with this method. Any problems with transportation, production or supply could cause widespread inventory outages. First In First Out (FIFO) is an inventory control method where all inventory is used based on the time or date it was acquired. This method simply decreases waste and spoilage and requires stringent control of inventory based on date. Fixed order is the most basic type of inventory control, in which inputs are ordered at a set level on a set time frame such as weekly or monthly. Economic order quantity is a formula-driven mathematical approach to inventory control, in which multiple inputs such as annual usage, order cost and carrying costs are used to determine inventory levels. Radio Frequency Identification (RFID) is a relatively new inventory control tool which utilizes a microchip with a built-in transmitter to physically track goods. Hand-held devices at each point scan these microchips in a product's life cycle. This method is highly efficient and secure, but the overhead is higher than other inventory systems.